St Volodymyr's Cathedral (Ukrainian: Патріарший кафедральний собор св. Володимира, Russian: Кафедральный собор Святого Владимира, Владимирский собор; also known as the Volodymyrsky Cathedral, Vladimirsky Cathedral, or St. Vladimir's Cathedral) is a cathedral in the centre of Kiev. 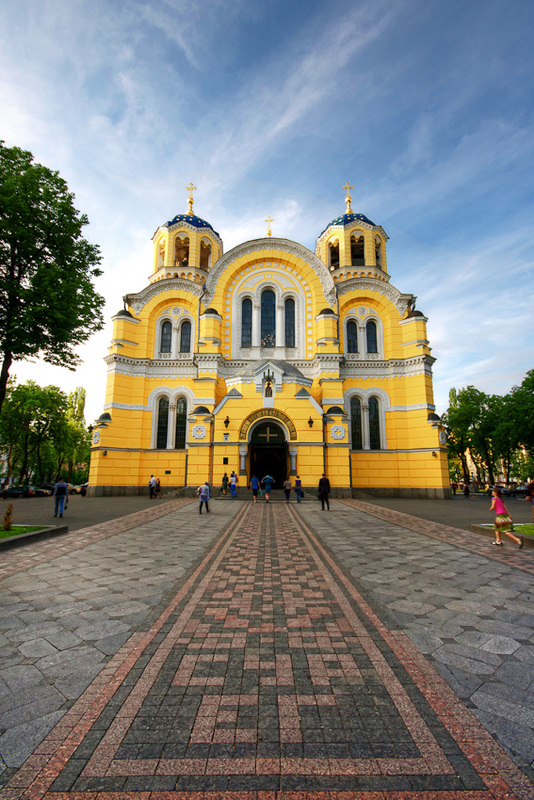 It is one of the city's major landmarks and the mother cathedral of the Ukrainian Orthodox Church - Kiev Patriarchy, one of two major Ukrainian Orthodox Churches.